Since our founding, Skip Hop’s operations have been guided by a strong commitment to producing quality products. As such, our products are rigorously tested to ensure we provide our consumers with safe products to make their jobs as parents easier. 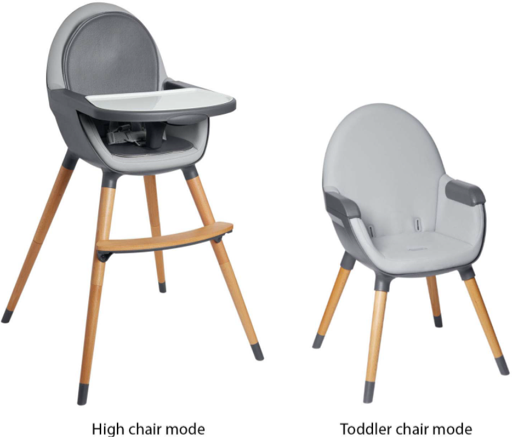 After receiving feedback from a small number of parents, we discovered that the TUO Convertible High Chair could pose a potential fall risk if the leg or legs become detached from the seat. This issue affects the following date codes: HH102016, HH11/2016, HH3/2017, HH4/2017, HH5/2017, HH6/2017, HH7/2017, HH8/2017, HH9/2017, HH092917, HH010518, HH030518, HH05182018, HH092717, HH05312018. This code is located on the back of the chair, above the “WARNING” section. These products were purchased between December 2016 and September 2018 in the U.S., Canada, Australia, and Mexico. 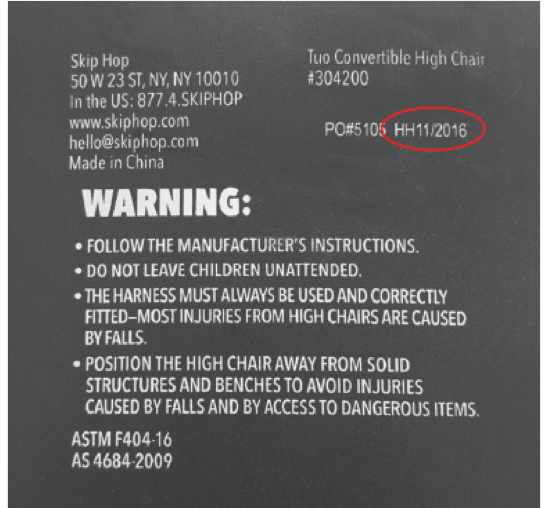 Working closely with the CPSC, we have issued a voluntary product recall on TUO High Chairs. 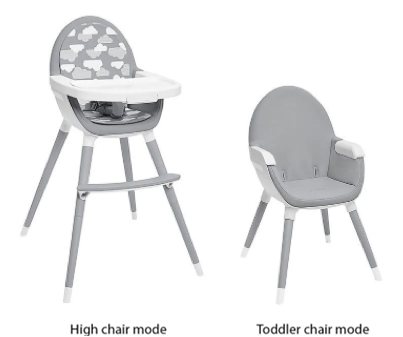 In the interest of safety, we are encouraging consumers who purchased this affected product to immediately stop using the high chair. We sincerely apologize for any inconvenience this may have caused our consumers and appreciate their understanding in this matter. Locate the date code on the back of the chair. The date codes below are included in the recall. A photo of the seat cut as shown, including the written date and name of the person to receive the e-gift card or refund. This is to ensure that potentially unsafe chairs are no longer in use. These chairs should not be used, donated or sold. Within 5-7 business days, you will receive an email confirming the shipment of your e-gift card or refund.